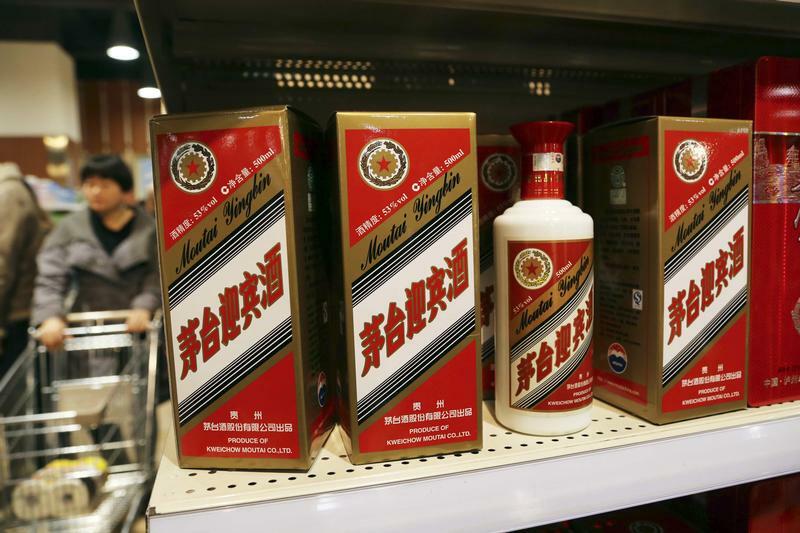 As companies bid for contracts tied to Beijing’s infrastructure surge, many may toast deals with a bottle of China’s best-known liquor. The $110 bln spirit maker offers a boozy play on government spending, but a sales surge could embarrass graft enforcers, prompting a crackdown. Moutai Liquors is seen on a shelf at a supermaket in Xuchang, Henan province, January 19, 2014. Kweichow Moutai Co Ltd, China's top seller of fiery liquor baijiu, on April 24, 2014 posted its weakest quarterly profit growth in three quarters. Picture taken January 19, 2014. China will adopt a combination of fiscal and financial measures to boost domestic demand and bolster support for real economy, the state council said on July 23. Issuance of 1.35 trillion yuan ($195 billion) of designated special bonds to support local government infrastructure spending will be accelerated, the council added.